You might use your freezer every day, but how much time do you devote to keeping it clean? Clearing out a freezer can be a complex and time-consuming experience, but it’s also something you’ll need to do from time to time if you want to make the switch from a filthy appliance to a flawless one. Here’s a quick guide to help you simplify the cleaning process, for a task that takes no longer than twenty minutes! While it might be tempting to jump straight in with a sponge, you can’t do much in sub-zero temperatures. Turn your freezer off, or unplug the unit, and empty the ice and frozen food out into a cooler. Remove all the detachable drawers and shelves, and wash them with hot soapy water after they’ve reached room temperature. Waiting a little while help to ensure you don’t crack any plastic or glass. Also make sure you have the proper equipment & tools on hand. A really good sponge like the melamine sponge is underrated. Easyway Maid Service did a great review on these sponges so be sure to check that out. Once you’ve finished clearing out your freezer, make up a solution of equal parts vinegar and hot water. Alternatively, you can use 2 tablespoons of vinegar with a quart of hot water if you don’t like the vinegar smell. Use a spray bottle to fully coat the inside of your freezer, then wipe all of the surfaces down with a dishcloth or sponge. Reapply the cleaning solution where necessary. For those extra-stubborn marks, soak a paper towel in your cleaning solution and place it over the mark. Let the space soak for about ten minutes, then wipe away. You can also use an old toothbrush for extra stain-removal power. Remember to wipe down the door seal and doors before you’re done. Get into all the cracks and hidden spaces! Finally, dry the inside of your freezer with a dish towel or paper towel. This will help to avoid excess ice build-up. Carefully replace all your drawers and shelves, and stock them with your ice, and food. When your freezer is back to normal, turn the unit back on. It might be worth doing a little de-cluttering as you place your foods back inside of your freezer, so you can remove anything that’s plagued with freezer burn. But you don’t have to do this all yourself. If you’re in any of the areas we service, you can give Cleaning Tribe a call & we’ll be at your door like clockwork! 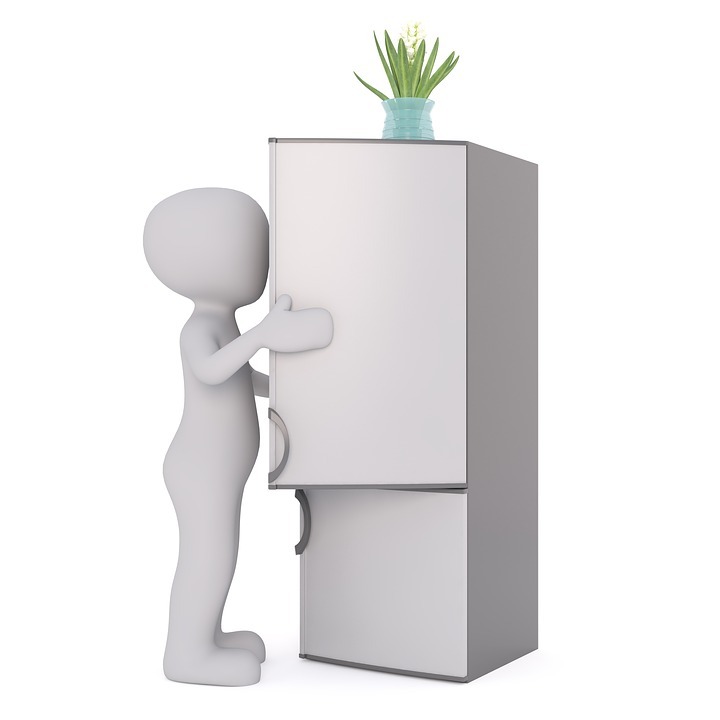 For more Fridge cleaning tips, check out our friends at East Side Cleaning, a Maid Service in Seattle wa.